I am honored to receive the endorsement of the Planned Parenthood Advocacy Fund of Massachusetts and am deeply committed to protecting the health and rights of our communities. Here in Massachusetts, we must take the lead in ensuring our residents have access to the care and support they need to stay healthy. I’ll never stop fighting for Planned Parenthood patients, for affordable access to reproductive health care, and for health equity for all. I am honored to receive the endorsement of the Massachusetts Women’s Political Caucus. I am honored to receive the endorsement of the MassEquality PAC. I am privileged to announce that I have been named a 2018 Champion by the Progressive Change Campaign Committee, which recognizes candidates from around the country who are fighting for progressive priorities and looking out for the needs of everyday families. One hundred ninety-seven candidates have been named 2018 Champions nationally. For more information please visit their website. As a strong believer in workers rights and union labor, I am privileged to announce that I have been endorsed by the MA AFL-CIO. I intend to be a champion, in the legislature, for equality, justice and opportunity for all Massachusetts citizens. 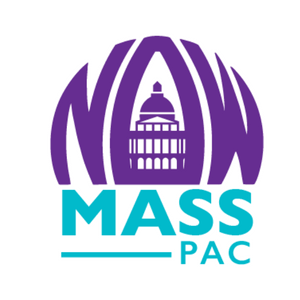 This endorsement, by MassNOW means a lot to me as someone who is fiercely committed to intersectional feminist issues. The importance of quality, affordable healthcare is a priority for my district and statewide. Having the support of the Massachusetts Nurses Association, is invaluable to me, because we must work together with those who work in healthcare as we work to bring solutions to the people in our district and across the Commonwealth. As a member of the LGBTQ Community and as a staunch defender of equality and human rights, I am honored to have received the endorsement of the Bay State Stonewall Democrats. Full protection of reproductive freedom is indispensable to economic opportunity and security for patients and their families. Greater bodily & reproductive autonomy—whether in the form of access to birth control, abortion, paid family leave, or child care—affords people in the 1st Hampden District and across the Commonwealth greater economic security and mobility. Expanding that autonomy through access to affordable quality healthcare ensures economic success in our communities. I am committed to the welfare of all residents of this district and am proud to have the endorsement of #VOTEPROCHOICE.